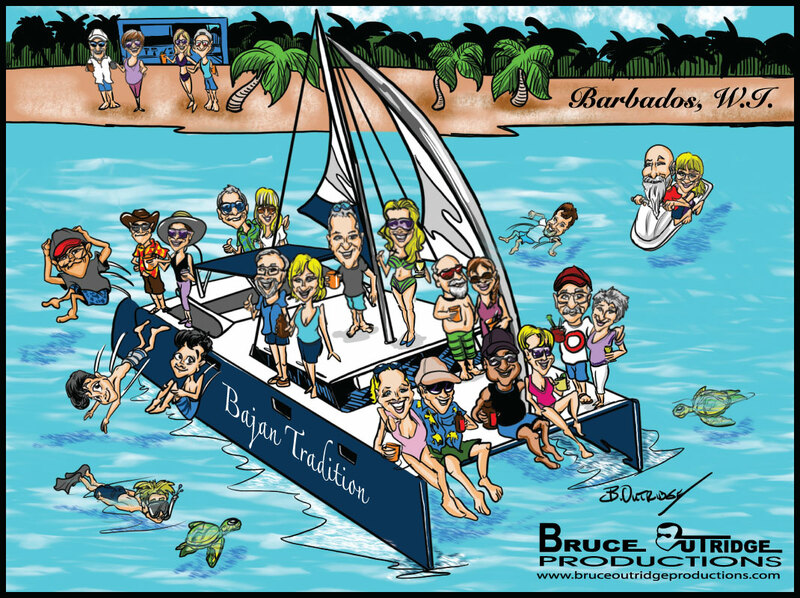 Every year for the last three years I have been doing an illustration on beautiful Barbados. This started out as a memento for friends and has now become its’ own tradition. For the last couple of years we have gone on a catamaran for a day with friends. If you have joined us or just love the beauty of the Caribbean then this is for you. If you would like to download an 11×14 print for your own click the PDF link below. Enjoy and maybe we will see you in the Caribbean.